Working in motorsport requires passion, dedication and a certain amount of insanity! Hours are long and depending on the role, it can often mean spending more time on the road than at home with your family, at least during race season and testing. Even for those who at the operational end of motorsport such as event staff and safety operatives, the industry is gruelling and seriously hard work. So why on earth do people dedicate their time for free? Some may say for the love of the sport, the thrill of the race, a front row seat to the excitement of the track. 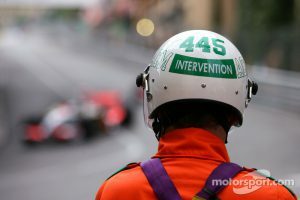 In truth, many motorsport volunteers give up their own free time to make the sport safer. May we introduce you to the often unsung heroes of motorsport, the weekend warriors making a difference out there…..the Marshals. When people think about working in motorsport, they often only think about the glamour of Formula 1 – the highly paid driver and their passionate pit crew, all flying around the world first-class. People don’t often think about the people who dedicate themselves to the mechanics of the sport itself. Quite simply, without marshals, there could be no motorsport. These orange-overall clad members of the public put themselves at great risk to ensure the safety of others weekend after weekend. 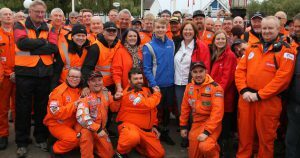 After his crash at Donington Park in 2017, Billy Monger said that he owed a huge debt of gratitude to the marshals who were first to respond. 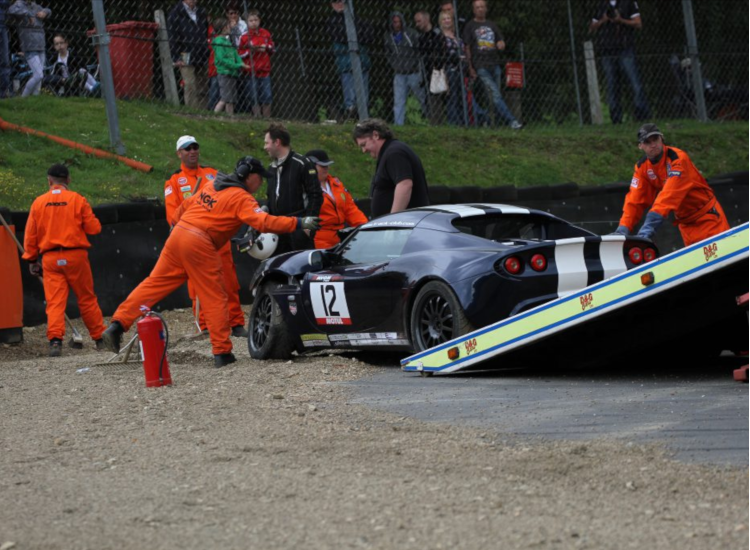 Track-side marshals are the first on the scene in the event of a race incident and as strange as it may sound, you don’t need any prior medical skills or training to be able to do the job. Most training is offered on a hands-on basis where you learn from people who have been protecting drivers, teams and spectators for years. One of the other benefits of marshalling is the ability to take part on a local level. Almost everyone will live close to a track or race meeting, whether it be a sprint course, off-road event or major circuit. All levels and disciplines of motorsport require marshals. From motocross to hill climbs and rallying, marshals are responsible for more than just safety. This is where it gets interesting for those looking to forge a paid career in motorsport. Other marshalling responsibilities include scrutineering, timing, pit and grid work and stewarding. Essentially, there is no other role where you get to witness so many facets of working in motorsport first hand. This level of experience and dedication will only improve your chances of securing a job in this highly competitive industry. As part of the National Motorsport Academy’s entry requirements, all students must be active in the world of motorsport, whether that be as part of a team or helping out trackside. Many choose to volunteer as a motorsport marshal, which not only gives them a unique perspective behind the scenes at each race but also helps to bolster the safety efforts for everyone involved in the sport. Interested in becoming a motorsport marshal? The British Motorsport Marshal’s Club is a great place to start. They offer taster days where you attend a race and witness the importance of the marshal’s role first hand. They also offer formal training in incident handling, fire theory and skills for specialist areas such as karting and rallying. The Motor Sports Association also have a great website dedicated to finding volunteer work in motorsport but it’s also possible to approach circuits and race organisers directly. Motorsport Vision Racing (MSVR) are the event and race organising arm of the MSV Group – owners and operators of Brands Hatch, Donington Park, Oulton Park, Snetterton, Cadwell Park and Bedford Autodrome. 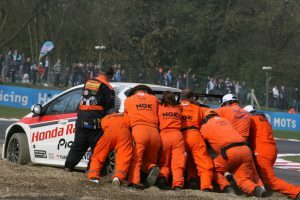 The website features an entire section about working as a marshal at their circuits, as well as additional information about benefits and discounts available to motorsport marshals. Working in motorsport as a marshal is immensely rewarding. There’s potentially no other job where you get to be so close to the action yet also play such an important part in the lives of others. 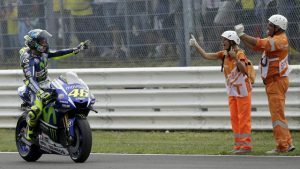 Whether you are a rallying enthusiast or MotoGP maniac, there are always opportunities available for those who will give up their free time in exchange for a front row seat. Anyone considering becoming a marshal should remember that, despite a whole host of benefits, the role is hard work, with long hours out in the elements. Like most other jobs in motorsport, it requires dedication, concentration and a cool head under pressure. So, to the thousands of men and women across the world who dedicate their time and risk their lives and wellbeing to keep motorsport safe – we salute you! To find out more about the working in motorsport or studying with the Motorsport Academy contact us today!